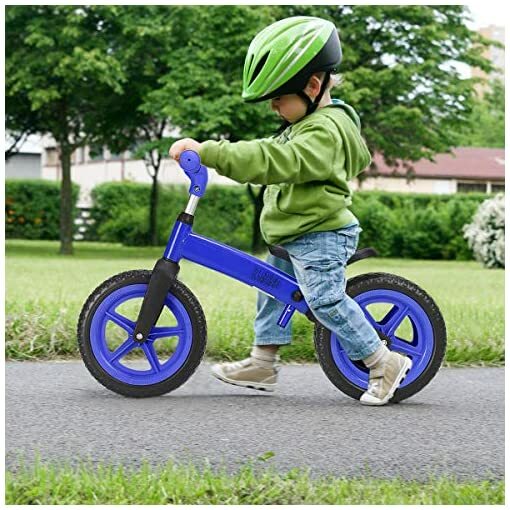 FAST LEARN: The perfect balance bikes will help your child develop essential bike skills. 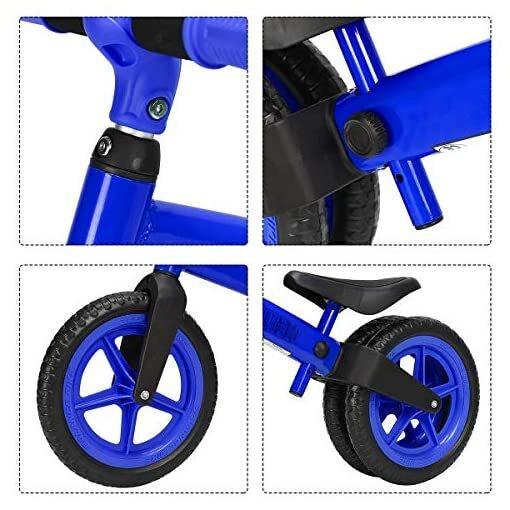 The lightweight, pedal-less design allows children to straddle the bike with both feet on the ground and easily propel the bike by walking or running, providing a safe, easy and most efficient way for easier transition to pedal bikes. 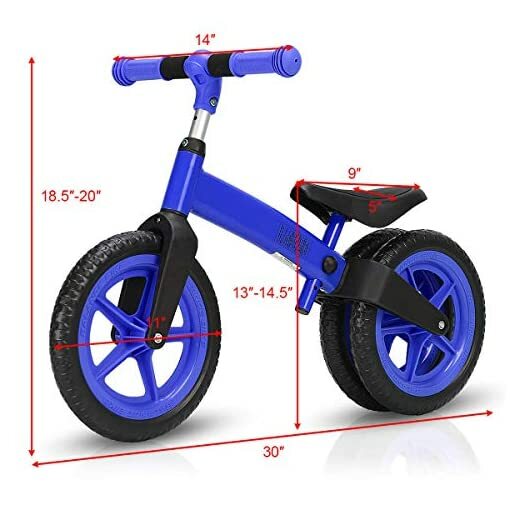 GROWS WITH YOUR CHILD: The seat(13”-15”) and handlebar(17.5”-20”) heights can be adjusted with the heights of child when he grows up, ensuring a best fit for the child’ accommodates for children from 2 – 5 years old. 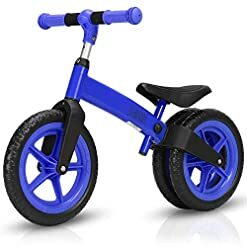 DESIGNED FOR SAFETY: Puncture-resistant EVA Foam tires – no need to ever inflate, Rear wheel -two-wheel construction, help provide a smooth ride and enhance stability; Sturdy steel frame and foot to floor frame design make children away from potential accidents. 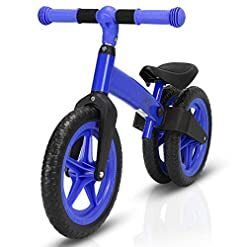 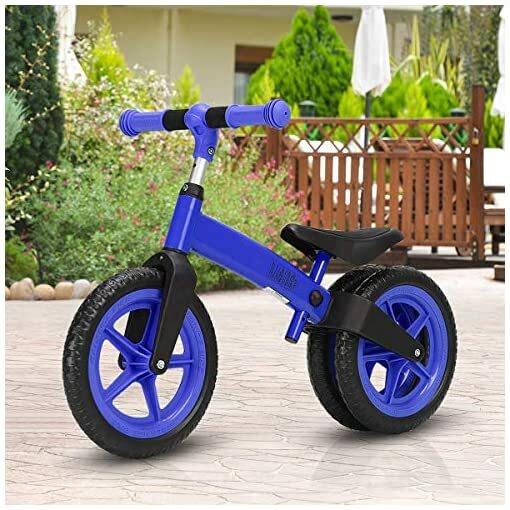 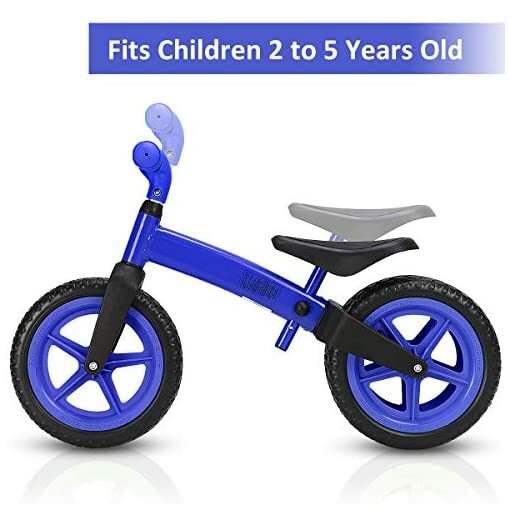 By starting out on a balance bike, develop child’s balance, coordination, enjoy learning riding and gain confidence, let toddler easy to move up to a pedal bike and will reduce the risk of accidents. 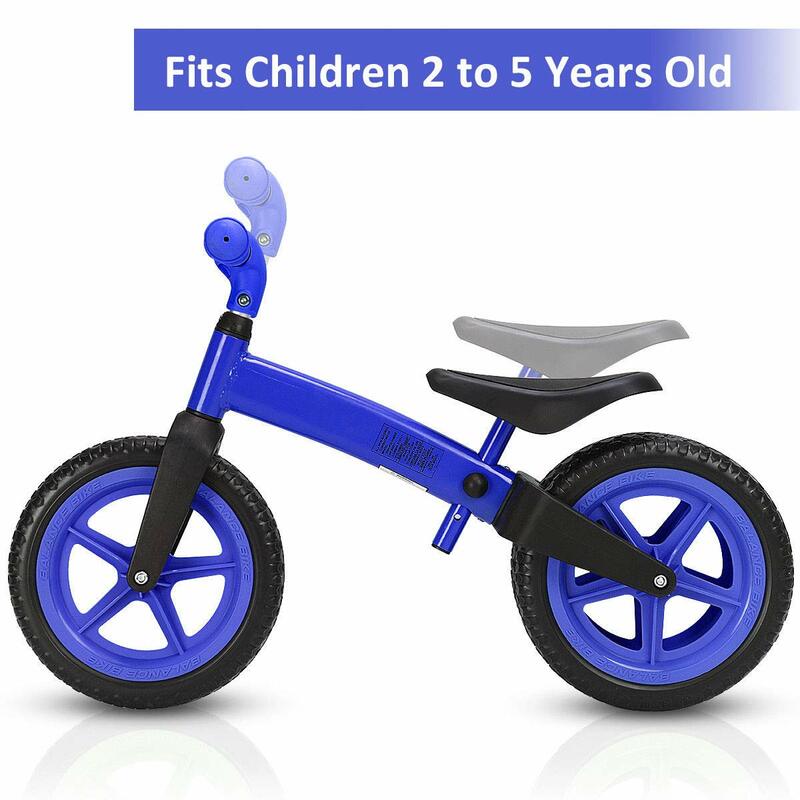 Our perfect balance bikes will be your great choice. 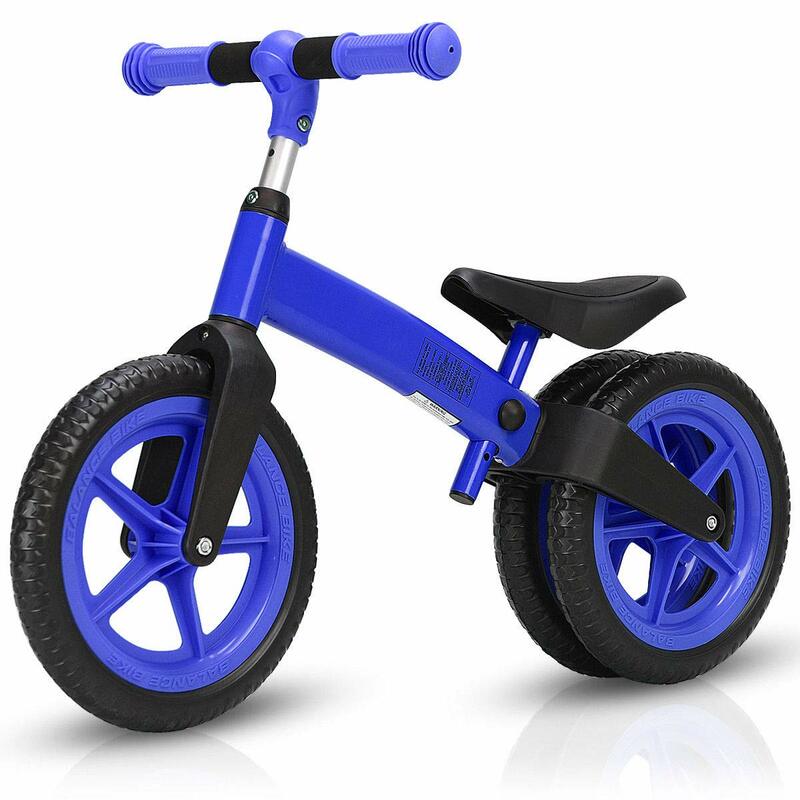 Our balance bikes are the industry-leader when it comes to helping children as young as 2 years old learn to ride on two wheels. 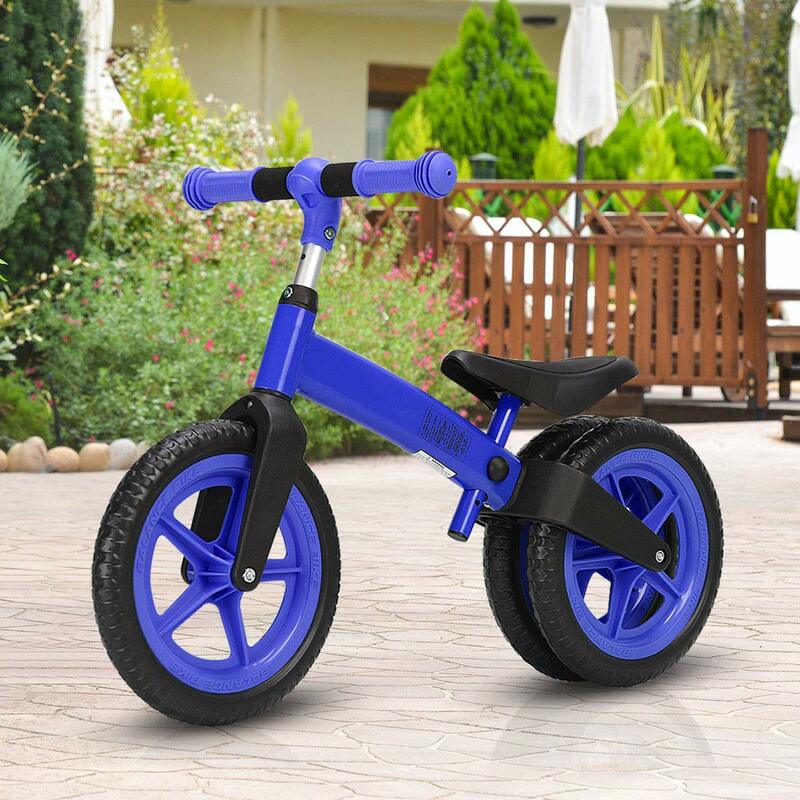 The lightweight, pedal-less design allows children to straddle the bike with both feet on the ground and easily propel the bike by walking or running. 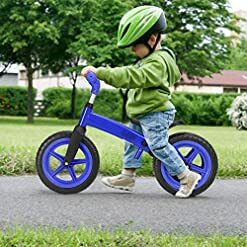 This natural method puts the focus on the fundamentals of balancing, leaning, and steering without the distractions and complications of pedals or training wheels. 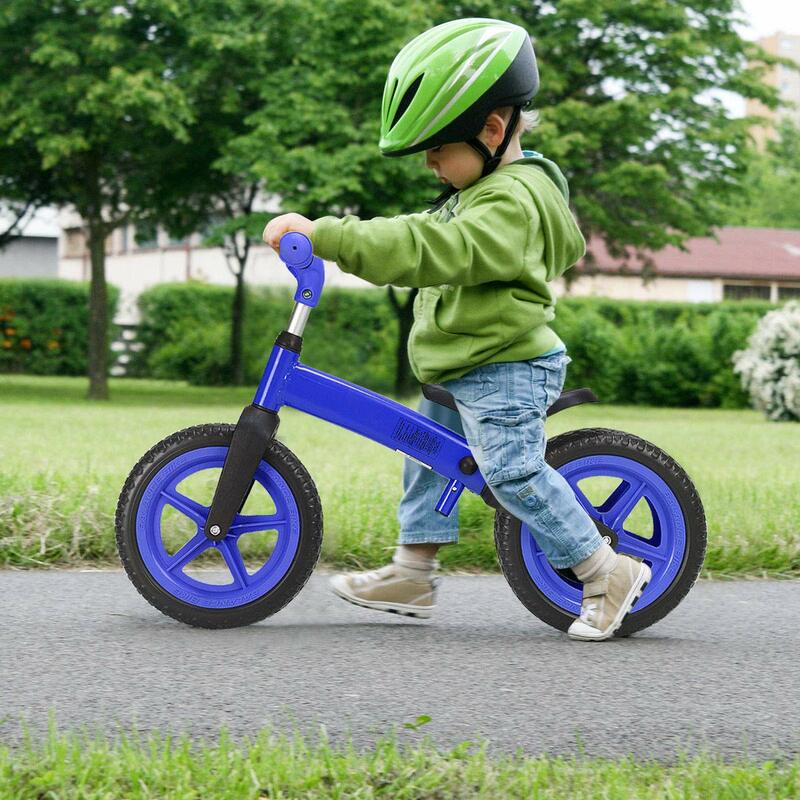 Our bikes are scientifically proven to increase balance in children of all abilities in a fun and engaging way. HIGH PERFORMANCE: Constructed of anti-rust carbon steel and PA material, the sturdy bike supports up to 66lbs. Soft seat and non-slip handlebar, provide an extra level of safety and comfort so they can ride all day long. 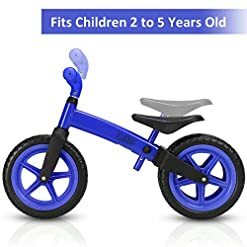 Easy to assemble according our instruction. LIGHTWEIGHT BIKE: In cycling, lightweight equals performance and safety. Weighing only 6lbs,it is easy to carry. The lightweight bicycle frame design makes the bike easier to control for kids ,and help them build confidence no matter what road they choose to ride.